Sophisticated scene lighting can be achieved at a very low cost by replacing standard light-switches with LightwaveRF dimmers that use the existing wiring and controlling them using the App or a Mood Lighting Controller. You can also intergrate stand or table lamps into a lighting scene by plugging them into a LightwaveRF socket or Plug-in Dimmer. Mood lighting controllers link wirelessly to dimmers and plug-in dimmers and can be positioned anywhere, even on a bedhead or coffee table. Favourite lighting scenes can be stored and saved using the switch. These scenes can be recalled at the touch of a button. 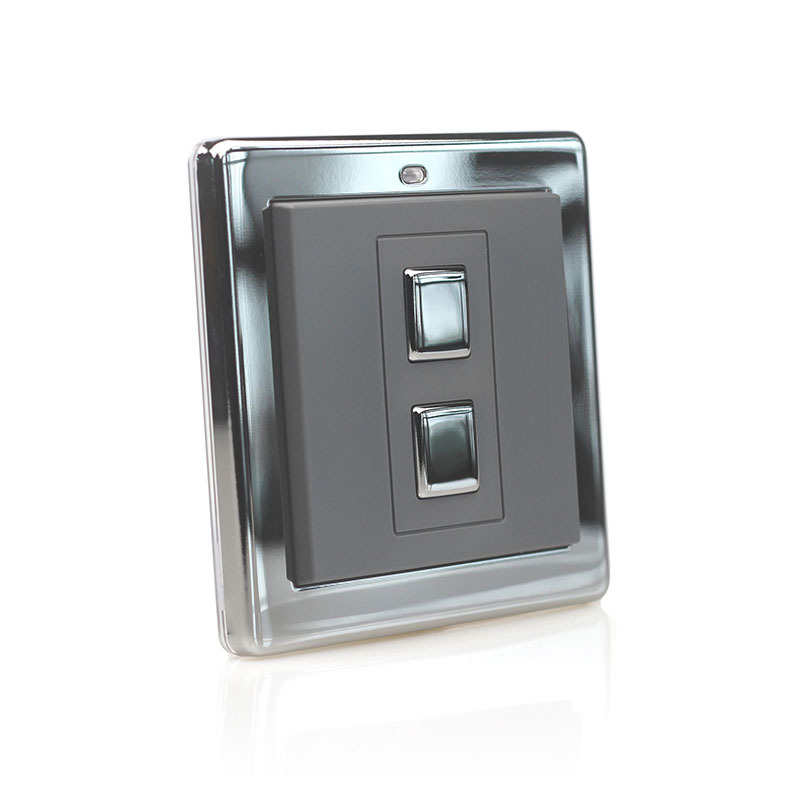 Wire-free switches are extremely useful controls that can turn on/off or dim LightwaveRF lighting and power devices. They look like conventional dimmers, but are portable and can be screwed to a back box or adhered to any surface to provide an extra lightswitch, power switch, or all on/off control. 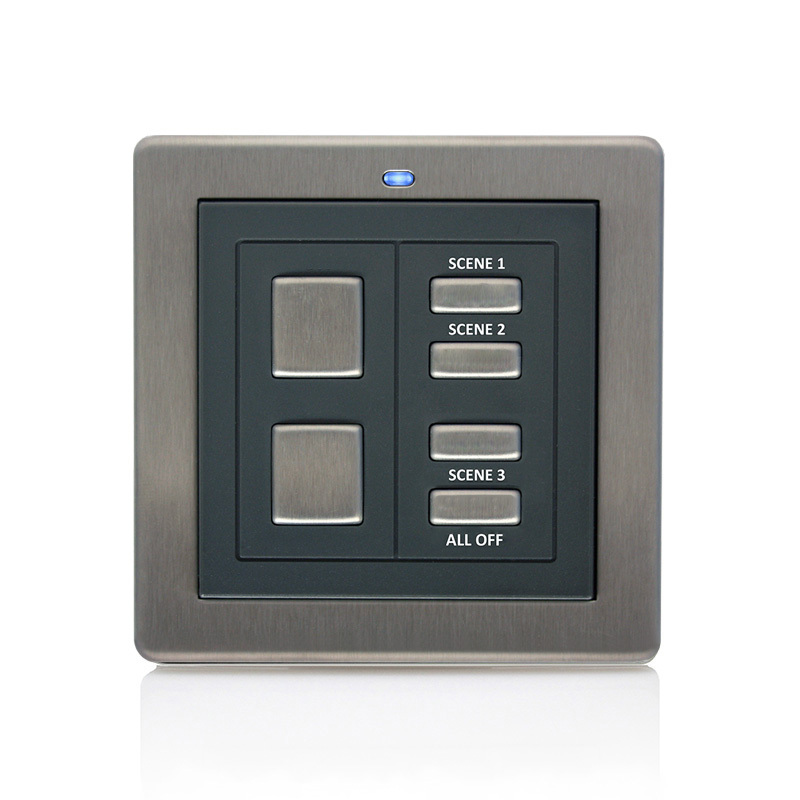 As they are battery powered, they can also be positioned wherever is most convenient for the room occupant and used to switch multiple devices. The Wire-free Switch is also a great quick and easy alternative to a wired 2-Way switch, as it comunicates with another LightwaveRF Dimmer wirelessly and doesn’t require cabling.